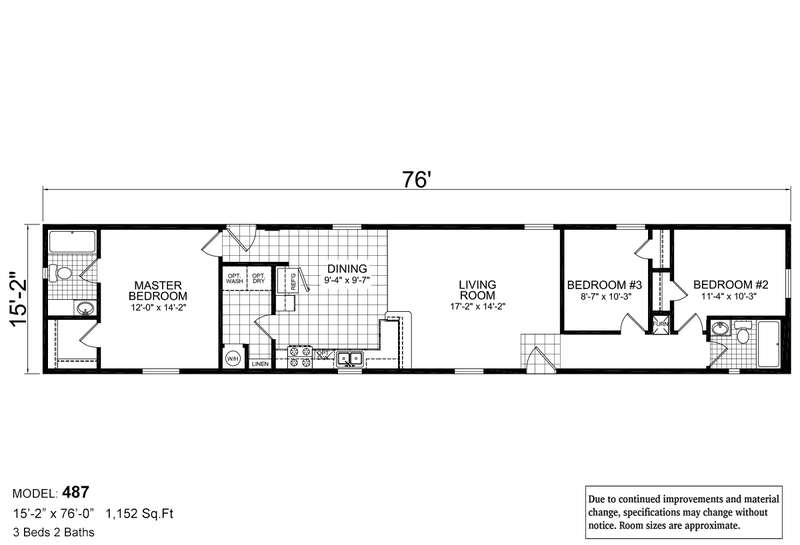 Compact small footprint three bedroom home with large features including big modern well equipped kitchen, extra spacious living room, king size bedrooms and two elegant baths. Large single section with master bedroom and en-suite bath privately located away from guest bedrooms and bath. Layout maximizes space utilization with elimination of hallways. 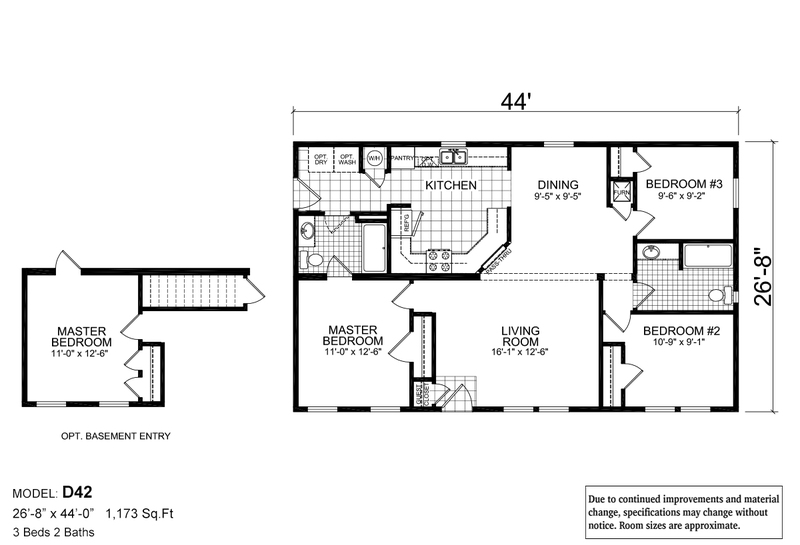 Beautiful kitchen and spacious living room at center of this single section eliminates wasteful hallway space. Two bedrooms and bath each located at opposite ends of home is ideal for smaller families, retirees and couples desiring two master bedroom suites. Quality value-oriented three bedroom home features expansive living room, family room or optional den with stairwell, open modern well designed kitchen with large island and adjoining bright morning room and privately located master bedroom with luxurious en suite. 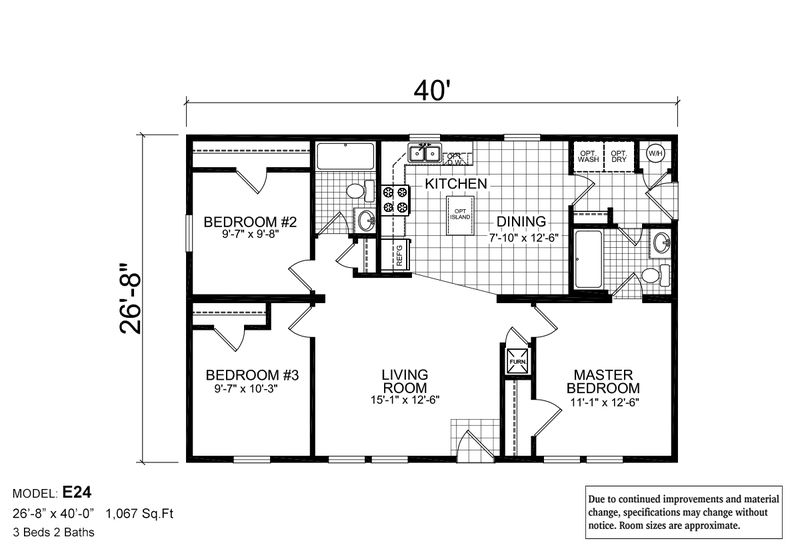 Small two bedroom single section with big features including large living room open to beautiful front kitchen with dining area, two kingsize bedrooms, roomy bath and laundry/utility with large storage closet. 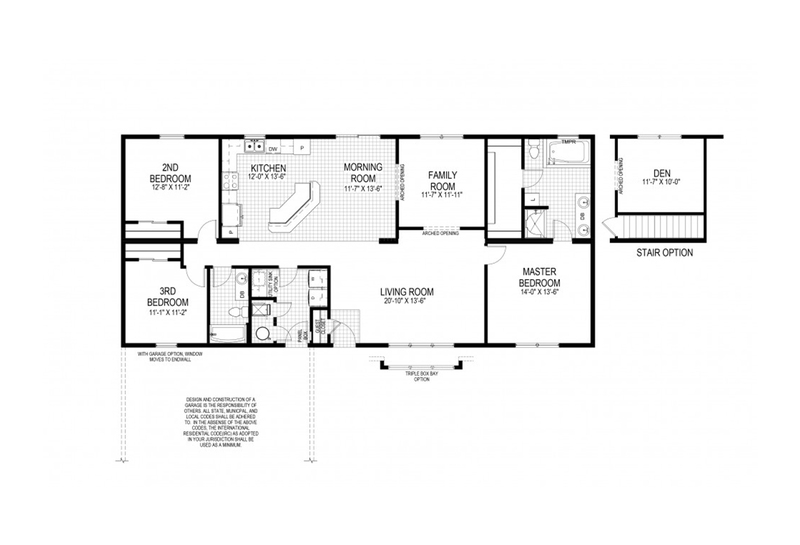 Popular single section floor plan with master bedroom and bath privately located away from guest bedrooms and second bath, large living room open to modern kitchen with lots of handcrafted cabinets and countertop space. Skillfully designed three bedroom family home with spacious living room, large convenient bright kitchen, king size guest bedrooms and privately located master bedroom with large walk-in closet and luxury ensuite with additional linen/storage closet.